I started posting a development log on Twitter. Here’s a consolidated version. I started posting a development log on Twitter. You can see related tweets by using #ExplodingDevLog. I’ll be posting consolidations of the devlogs on this site as well. Here’s the first one! 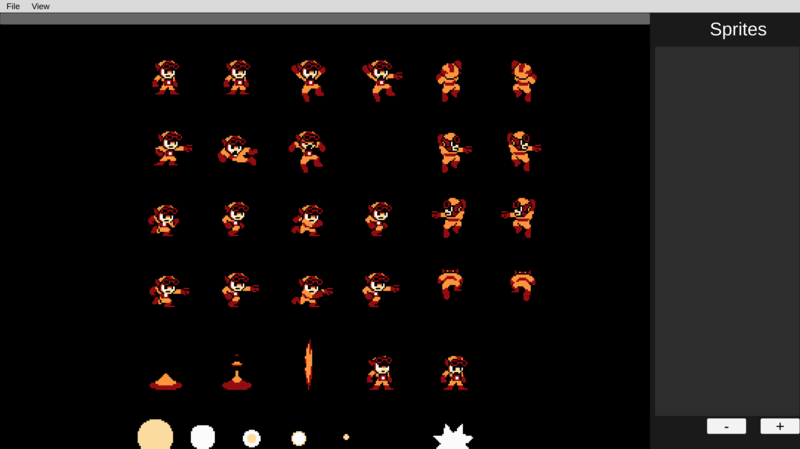 Started working on the sprite editor, but all you can do right now is look at a sprite sheet and drag it around. Not too exciting yet. Added an assets panel that displays all files in the project instead of having a separate sprites panel. 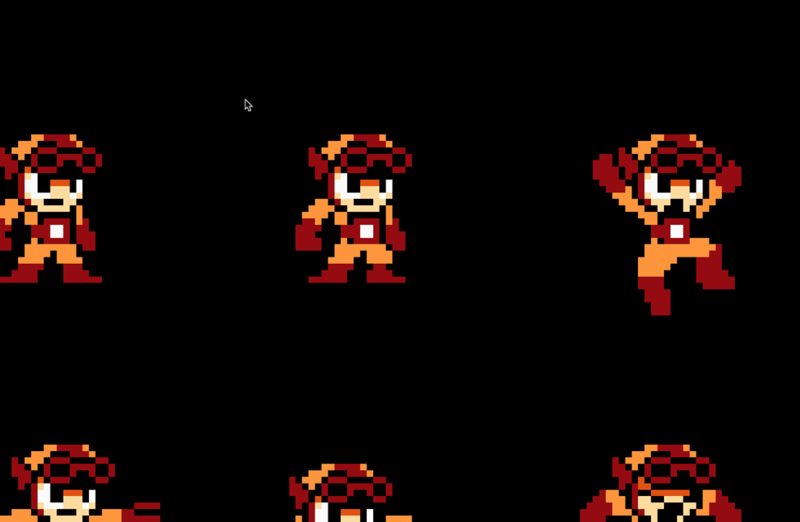 Also added very basic sprite slicing. Slices lines are drawn with Unity’s GL class. Wrote the basics of the 💥Exploding Data file format (why is everything exploding with me?). 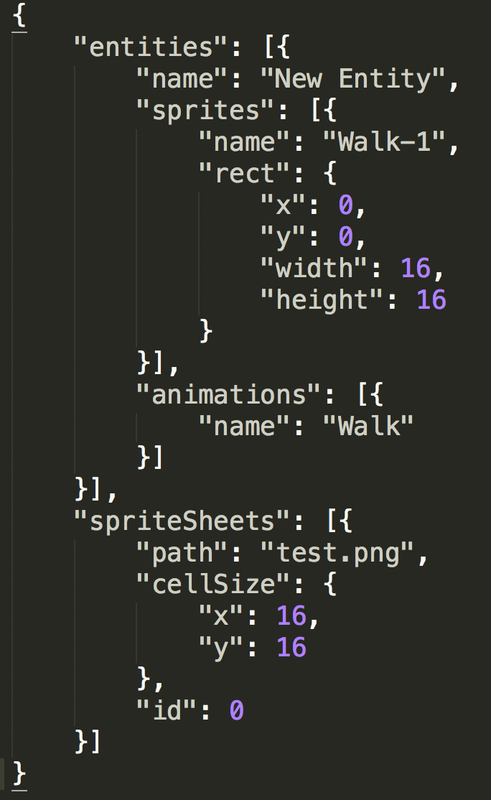 It uses JSON because it’s easy to work with and is human readable. I also set up saving and loading of these files. Added right click to assets panel to allow simple creation of entities, sprites, and animations. Also got basics of properties panel working. 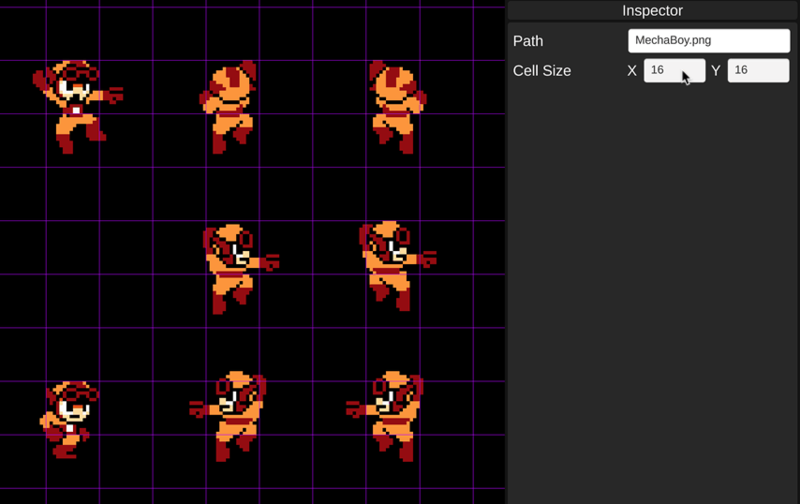 Added grid overlay for sprite sheets. The cell size can be set in the inspector panel. Benefits of grid-based sheets and how they work with Exploding Editor will be shown later.